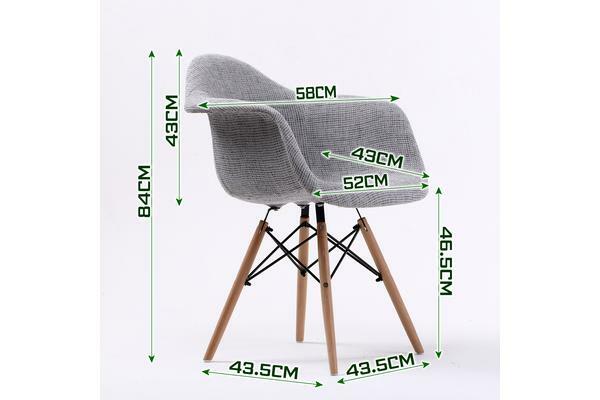 Please refer to pictures for dimensions and chair seat material. 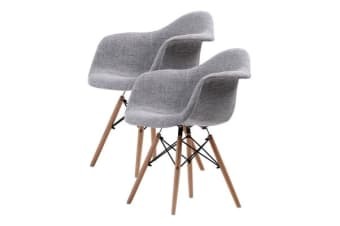 La Bella Eames Replica amr chairs are an elegant, stylish and beautiful retro furniture that will make your house looking gorgeous! There are many different colours to choose from and the simple and clean design fits many types of environment. 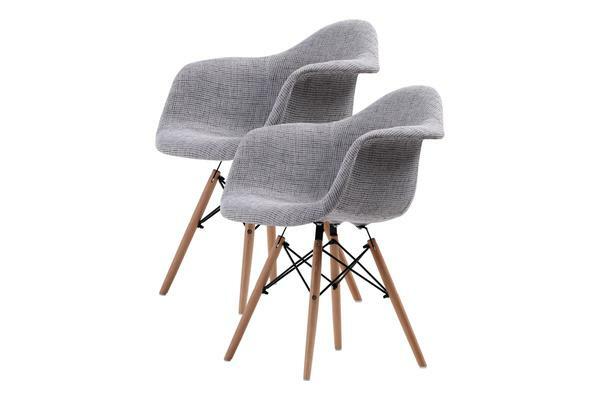 The chair frame is made of high quality Fabric and it is covered with thick padded seat cushion for comfort. The legs are made of beech wood so it is very strong and durable. 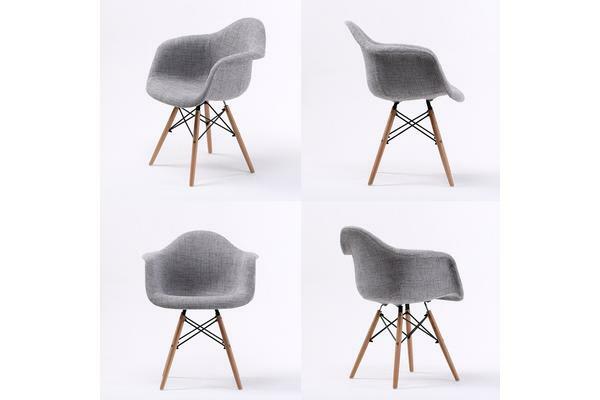 The chair is ideal for home, office and cafes and are very simple to assemble.